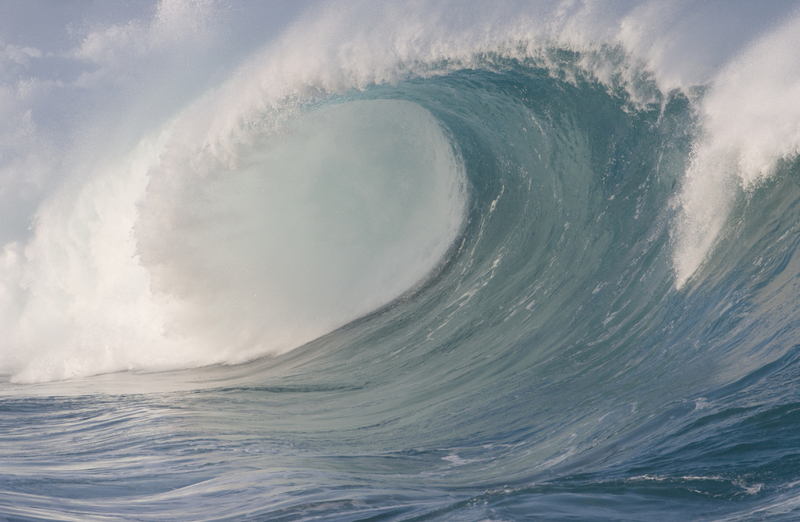 On April 16, the National Ocean Council (“Council”) released its final National Ocean Policy Implementation Plan (“Implementation Plan” or “Plan”) to address challenges facing the Nation’s oceans, coasts, and Great Lakes. The Implementation Plan identifies more than 200 specific actions for Federal agencies to undertake between 2013 and 2025 to implement the President’s National Ocean Policy and to bolster the nation’s ocean economy, strengthen our national security, improve ocean health, support local communities, and provide better science and information to improve decision making. These actions could broadly impact a wide range of ocean uses, including, but not limited to, offshore energy development, shipping, recreation, fishing, and aquaculture. In July 2010, President Obama issued Executive Order 13547, establishing a National Ocean Policy (“Policy”) to promote stewardship of the oceans, coasts, and Great Lakes. The Executive Order adopted the Final Recommendations of the Interagency Ocean Policy Task Force (“Final Recommendations”), a more detailed outline of policy goals published concurrently with the Executive Order. Executive Order 13547 established a national policy “to ensure the protection, maintenance, and restoration of the health of ocean, coastal, and Great Lakes ecosystems and resources, enhance the sustainability of ocean and coastal economies, preserve our maritime heritage, support sustainable uses and access, provide for adaptive management to enhance our understanding of and capacity to respond to climate change and ocean acidification, and coordinate with our national security and foreign policy interests.” Among other things, the Policy established a National Ocean Council to coordinate the ocean-related activities of Federal agencies, focusing on reducing bureaucracy, improving coordination and integration, enhancing efficiency and effectiveness, and maintaining fiscal responsibility. (For more information, see our July 22, 2010 VNF Alert). On January 12, 2012, the Council released a draft Implementation Plan, which described initial steps for implementation of the Policy. The draft Implementation Plan focused on nine “priority objectives” central to the Policy, and proposed 50 specific Federal “actions” to achieve these priority objectives. (For more information see our January 23, 2012 VNF Alert). The Implementation Plan reflects an apparent effort to help defuse what had become one of the Policy’s more controversial elements: coastal and marine spatial planning. The Implementation Plan reiterates the Administration’s intent to establish regional planning bodies that would develop “marine plans” (previously referred to as “coastal and marine spatial plans”) to provide information and/or to “describe future desired conditions” and guide decision making relating to the use of ocean resources. Significantly, however, the Plan clarifies that participation by states, tribes, and Regional Fishery Management Councils on regional planning bodies will be voluntary, and that a regional planning body will not be established if “all States within a region choose not to participate.” The Plan further emphasizes that regional planning bodies “are not regulatory bodies and have no independent legal authority to regulate or otherwise direct Federal, State, tribal, or local government actions.” Each regional planning body would have flexibility to determine the scope, scale, and content of its marine plan. The Implementation Plan sets a goal of establishing regional marine plans by 2017. Recognizing the impacts of storms, sea-level rise, and climate change on coastal communities, the Plan directs Federal agencies to take certain actions to improve the resilience of coastal communities and to enhance their ability to adapt to changing environmental conditions. For example, agencies must integrate scientific observations into a coordinated network of “climate sentinel sites” to enhance the nation’s ability to provide early warnings, risk assessments, and impact forecasts. The Plan also directs agencies to take certain actions focused on sea-level rise, shoreline erosion, flood insurance, invasive species, water quality, and habitat restoration, to further reduce the vulnerabilities of coastal communities and ocean environments to climate change. The Implementation Plan notes that commercial and recreational fishing will continue to be managed exclusively by the relevant state and Federal fisheries managers and Regional Fishery Management Councils or Commissions. But the Plan directs agencies to take certain actions affecting the fishing and aquaculture industries, like addressing regulatory inefficiencies, combating ocean acidification and other habitat stressors, strengthening contaminant detection capabilities, and incorporating ecosystem-based management into planning. Recognizing the effect of water quality on ocean and coastal health, the Implementation Plan identifies actions relating to the agriculture and farming industry. For example, the Plan directs that agencies take certain actions to reduce nutrient and sediment loads, reduce pollutant runoff, protect watersheds, and conserve new lands. The Implementation Plan lists actions designed to promote the development of offshore energy resources and to protect against associated environmental impacts. For example, the Plan contains actions to improve oil spill prevention, containment, response infrastructure, technology, and plans; improve coastal and seafloor mapping; support private-sector development of greenhouse gas offset protocols for use in voluntary carbon markets; and provide access to relevant climate, water, wind, weather data and information, and environmental models, to support the development of renewable energy. The Implementation Plan recognizes the need for safe, efficient, and secure navigation and waterways management systems, and for measures to address changing conditions in the Arctic. The Plan supports United States ratification of the Convention on the Law of the Sea as “critical” to protecting our navigational rights and advancing our economic interests. In addition, the Plan calls for incorporating sea-level rise into project planning; continuing work on Waterway Analysis and Management System assessments and Port Access Route Studies; assessing communication capabilities in the Arctic region; improving and delivering Arctic sea ice analyses; and improving Arctic mapping and charting to promote safe navigation. Given its scope, the final Implementation Plan could affect the array of users of our oceans, coasts, and Great Lakes. Although the Plan appears to reflect an effort by the Council to show that coastal and marine spatial planning does not equate to zoning the oceans, the establishment of regional planning bodies—despite being voluntary and providing no additional regulatory authority—and the subsequent development of marine plans could increase Federal agency involvement in the management of ocean and coastal activities and resource utilization. In addition, an emphasis on ecosystem-based management in the Implementation Plan could result in expanding the scope of Federal agency review, increasing Federal oversight, and heightening environmental permitting requirements for ocean and coastal uses. As Federal agencies begin implementing the specific actions identified in the final Implementation Plan, there will be many opportunities for states, tribes, communities, project developers, and other coastal and ocean resource users to participate in ocean and coastal planning efforts. Active stakeholder engagement in the activities specified in the Implementation Plan, including the development of regional planning processes and regional plans, and the application of ecosystem-based management approaches to planning, will be instrumental to ensuring that the results of these actions meet the needs of ocean users and do not impose unreasonable burdens on the various productive and other uses of our oceans, coasts, and Great Lakes. For clients with business interests impacted by ongoing federal regulatory and policy developments relating to the use of U.S. waterways and coastal areas, Van Ness Feldman offers significant depth of experience and capabilities. Over half of the firm’s more than 95 lawyers and policy advisors have worked as congressional staff, or at the U.S. Departments of the Interior and Energy, the U.S. Environmental Protection Agency, the Federal Energy Regulatory Commission, and the White House. Our professionals monitor federal regulatory and policy developments on a daily basis, and provide strategic advice to a range of clients. For more information, please contact your usual Van Ness Feldman point of contact at 202.298.1800 in Washington, D.C. or 206.623.9372 in Seattle, WA.